This government is a year old but what has it actually achieved? In the first of this two part series, we look at health and housing. 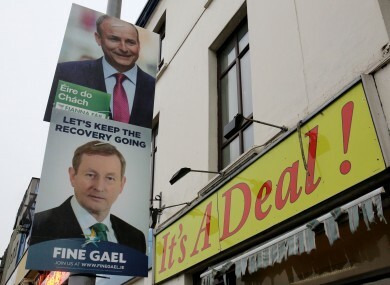 IT’S COMING UP to a year since an unprecedented level of political wrangling led to the minority Fine Gael-led government publishing its plan of action. The Programme for Government is a wide-ranging document, detailing what the government aims to achieve over its term in office. The 155-page thesis contains a massive number of commitments, pledges and promises that the government said it would pursue over the next five years. One year in, has the government made a telling contribution to the “fair society” that would allow communities to thrive “throughout both urban and rural Ireland” as promised? In the first of this two-part series, we look at the core issues of health and housing. When the government was formed, the “poisoned chalice” that is the responsibility for health was given to Wicklow TD Simon Harris. Budget 2015 and 2016 increased the health budget and it is our intention to work with the Oireachtas to sustain these increases. As part of this, we will focus on developing an enhanced primary care system, and guaranteeing the future sustainability of GP practices in rural Ireland and in disadvantaged urban areas. We will also make a number of key public health interventions, such as implementing a national obesity plan, building capacity in our emergency services, improving waiting times and reforming the HSE into a more efficient and transparent health service. There’s quite a lot in there, so let’s break it down. As our FactCheck on the topic pointed out, the funding for health in Budget 2017 was the highest it has ever been. In terms of primary care, the long-called for shift towards prioritising primary care has yet to take hold. While the HSE’s National Service Plan 2017 increased funding for primary care, critics included the National Association of General Practitioners who said that further investment was needed to make a “decisive-shift towards primary care”. The national obesity plan was indeed implemented, in September 2016. Its effectiveness, however, will take years to evaluate fully. Hospital overcrowding was a major problem during the winter. In response to a request from TheJournal.ie, the Department of Health said that there have been approximately 5% fewer patients waiting on trolleys nationally compared to the same period last year. However, figures from the Irish Nurses and Midwives Organisation point out that while the problem of overcrowding is lessening in Dublin, it is worsening in many other places. As for making the HSE into a more efficient and transparent health service, that is harder to quantify. Having said that, one initiative launched just this month will see patients giving their feedback on all aspects of their treatment with the reports of these surveys set to made widely available. Away from these pledges, Simon Harris’ term as Minister for Health has faced numerous challenges. Most recently, all of the controversy has centred on the planned location of the new National Maternity Hospital. Since last May however, Harris has also been under scrutiny on issues such as medicinal cannabis, access to cystic fibrosis drugs, waiting times for children with scoliosis, the children’s hospital and hospital overcrowding, to name a few. Progress has been made on these issues – such as allowing CF patients access the potentially life-saving Orkambi drug - and on others, with cheaper prescription costs for pensioners and a deal reached with the pharma industry designed to provide savings in the hundreds of millions. On the other hand, little to no progress has yet been made on commitments to enact the Public Alcohol Bill, or expanding the BreastCheck service to all women aged 65 to 69. A year on, critics of Harris and the government’s record on health are growing, especially from the fallout in the maternity hospital controversy. In the Programme for Government, a pledge was made to “do more” to “plan ahead for the needs of people in a few years’ time”. More money than ever is being pumped into the health service and, while a number of measures were certainly welcomed, there is still a long way to go to deliver on all of the health commitments made in the Programme for Government. He may be in line to become the next Taoiseach, but Minister Simon Coveney has already had a major national problem on his hands since he took over the brief of housing. The first heading under the executive summary of Programme for Government was “ending the housing shortage and homelessness”. Our approach to governing will be clearly seen in how we address the issues of housing and homelessness. Our ambitious policy agenda will deal with the shortage of new homes and increasing housing construction to create a functioning housing market. We also want to keep families in their homes and avoid repossessions, where possible. To achieve this, we will strengthen the existing mortgage arrears framework in a number of significant ways. The actions of the new partnership government will work to end the homelessness crisis. In Budget 2017, the government committed to spending €98 million to tackle homelessness, up from €70 million in 2016. As the number of homeless people continues to increase, however, the government has a hard task to try to stem the tide. According to the most recent figures, there were 4,909 adults homeless in Ireland. Furthermore, there were over 2,500 children living in emergency accommodation. Similarly, there is also an increase in rough sleepers on the streets of Dublin with 138 people counted at the beginning of April. This was an increase of 30% on the same period last year. Commenting on the figures, Housing Minister Simon Coveney said they were a “stark indicator of the challenges we face as we remain focussed and determined to address this problem”. If it wasn’t already an issue at the forefront of the public opinion, then the Apollo House occupation propelled homelessness to the top of the political agenda. The group of activists, artists and musicians who directed and dominated the discussion around homelessness in Ireland garnered such attention that Coveney got involved directly. While Home Sweet Home may have left the building, homelessness remains an important issue and one that the government will spend billions trying to address. In July 2016, Coveney, the Taoiseach and colleagues followed through on a pledge to outline their plan to tackle the issue when they published the government’s long-awaited “Rebuilding Ireland: Action Plan for Housing and Homelessness”. It included a plan to spend over €5 billion on social housing over the next five years. In the Programme, an aim of building 25,000 new houses a year by 2020 was outlined. In 2015, building on just 8,000 homes was begun. “In the next five years, we are going to provide about 50,000 more social houses for our people,” Coveney said. The urgency of developing such housing is clear. What’s not clear, however, is how many houses are actually being built. The Department says that 14,932 houses were built in Ireland last year. This figure, however, has been disputed. Opposition parties have urged the government for clarity on the issue, with Sinn Féin’s Eoin Ó Broin saying that figures released “via Freedom of Information by architect Mel Reynolds and DIT lecturer Lorcan Sirr” show that the true number is “substantially lower than earlier estimates”. Coveney, however, released a statement attempting to assure that this data was a misrepresentation of the figures. One thing is clear, however. If the government is to deliver on its housing targets, it must get its figures right. Another key part of this plan was to ensure that, by mid-2017, hotels were no longer used as emergency accommodation for families. Despite the numbers of homeless families continuing to rise, with recent figures showing the number of families in hotels doubling to 801 in a year, Minister Coveney has repeated the commitment to ending hotel use numerous times over the past number of months. He told TheJournal.ie in March that the goal could be met. “I think so, I think so. I mean it’s putting a lot of pressure on people but I think so,” he said when questioned directly about the timeline. However, getting families out of hotels does not necessarily mean that they’ll be getting new homes. Instead, many families have/will be rehoused in family hubs. These hubs are supposed to entirely replace the use of hotels and B&Bs (except in extremely limited circumstances), however they have already come under criticism from homelessness campaigners. Focus Ireland director of advocacy Mike Allen told TheJournal.ie that the government was lacking a targeted strategy to get families out of homelessness long-term. He said: “Is this sort of an assumption that we’re going to have large-scale problem of family homelessness for a long period of time? We’re very worried that there’s a risk here of the unintended effect of what’s happened is to normalise a high level of family homelessness without a proper underlying strategy. Despite the ambitious plans of the government to tackle the issue, it has so far overseen an escalation of the problem of homelessness in Ireland, and there is nothing to suggest that it will improve drastically in the short-term. However, in the Programme for Government it promised to outline a plan for housing and homelessness in Ireland within the first 100 days and did so. It outlined a set of ambitious plans to try to reverse the trends of homelessness in Ireland. With such long-term plans, it was never a case of offering a quick fix on homelessness. For this government, they will be hoping it is a case of a problem getting worse, before it gets better. Next week, we look at the government’s record to date on issues such as jobs and promised progress on a number of referendums. Read: Here are 10 things the Government promised to do in its first 100 days. How are they getting on? Email “This government is a year old but what has it actually achieved?”. Feedback on “This government is a year old but what has it actually achieved?”.